Overnight there was apparently a craze regarding 3DNes, a project capable of re-living your favorite NES games in a browser and now in 3D. This isn’t those 3D games that appear on the 3DS either, it’s a seemingly re-rendered version of the game to support depth (or volume). Originally this is what I imagined voxels (volumetric pixels) to look like and it’s somewhat like the aesthetic of 3D Dot Game Heroes but in your favorite NES games. In order to play you need to be on the 64-bit version of Mozilla’s Firefox web browser, have the NES rom you want to play uploaded to a linked location online (they recommend cloud storage), and you can only play online. A downloadable version will be available soon. It’s super cool to see these classics with new life in 3DNes and while I messed around with it a little, I have to admit I would probably prefer a downloadable version. You are welcome to head on over to the developer, Geod Studio’s site and play around with it yourself or merely watch the video at the top of the page. Now you’re playing with 3D power. 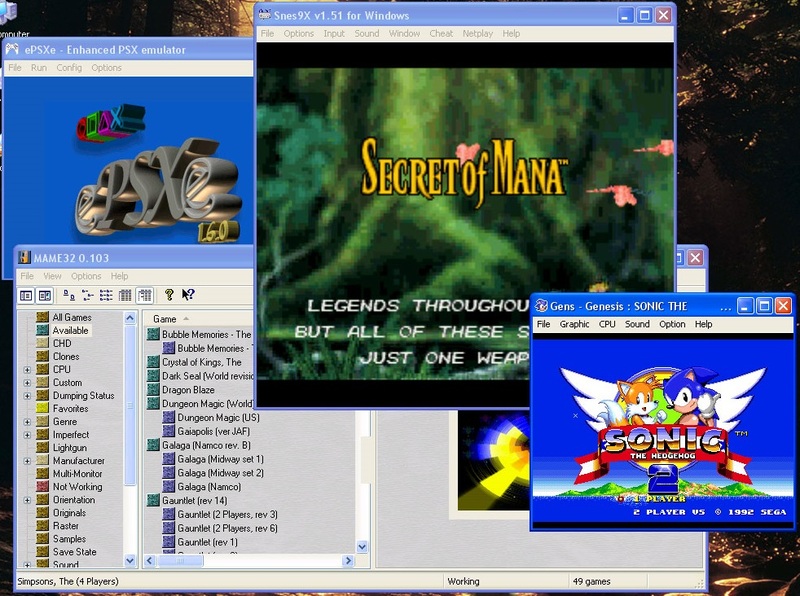 In the past I have had quite strong opinions about emulation, going so far as to say I prefer not to use it. My basis was clear in the article, but to sum up I don’t like the screen tearing and framerate issues that often happen with emulation, I hate not using a console’s native controller and the potential of input lag, and of course my ongoing aggression toward piracy. Since I boldly declared my stance almost four years ago (yep, we celebrate our fourth anniversary in October), a lot has changed. First of all, many of our readers and listeners have brought to my attention circumstances involving distribution, bootleg, and socioeconomic factors that force them into utilizing emulation, which as a middle class American I don’t have much experience with. In addition, rarity has become a big reason why I see the value in emulation (or flash carts/burned discs on original hardware, which is the same thing to me). I don’t think that people who want to experience Snatcher, Panzer Dragoon Saga, Michigan: Report from Hell, and so many others should pay a random dude hundreds of dollars that the publishers and developers will never see for this “privilege.” Those transactions are for the collector, who wants the tangible item, but for the player I think access should be made available and if the business of games does not support this then skating the line of the law is a personal decision each player can make. Also my experience on Twitch lately has been hilarious because I tend to play on actual hardware and I appear to be one of the few, so my choice to avoid emulation is more of an old man theory than a crusade against piracy and authenticity. A new development has come from the folks at Digital Cyber Cherries called New Retro Arcade that utilizes Unreal Engine 4 and a bunch of assets to simulate an actual arcade for your MAME emulation. This program is what we all probably hoped the Xbox 360’s Game Room was going to be but never was. You can browse your arcade, complete with random lights, sounds, and crazy carpeting, and play whatever you like. Built into the program are random arcade activities like darts and bowling, but the real draw is picking up that SNES controller, Gameboy sitting about, or walking up an arcade cabinet and playing the game. You can see in the video below that of the authenticity retained by this program, scanlines and rounded edges are a welcome part of it. The demo has it running on a GTX 780 TI, but it clearly doesn’t seem to need that power, however the average Windows XP MAME machine is probably not going to have the chops to run it. It’s a good start, but I’m going to want to test it myself and I can’t see it replacing my MAME machine as my go-to for arcade emulation, but if I get some sort of VR helmet in the future it does appear be an enticing recreation. Clicking on the company name above will take you to the site to get this free download.